Dave loves mixed nuts. They go in his cereal. He'll pop one or two in his mouth as he waits for his coffee to be ready. He'll even grab a handful after a workout. Yum! Know who else loves mixed nuts? Our dogs, that's who. 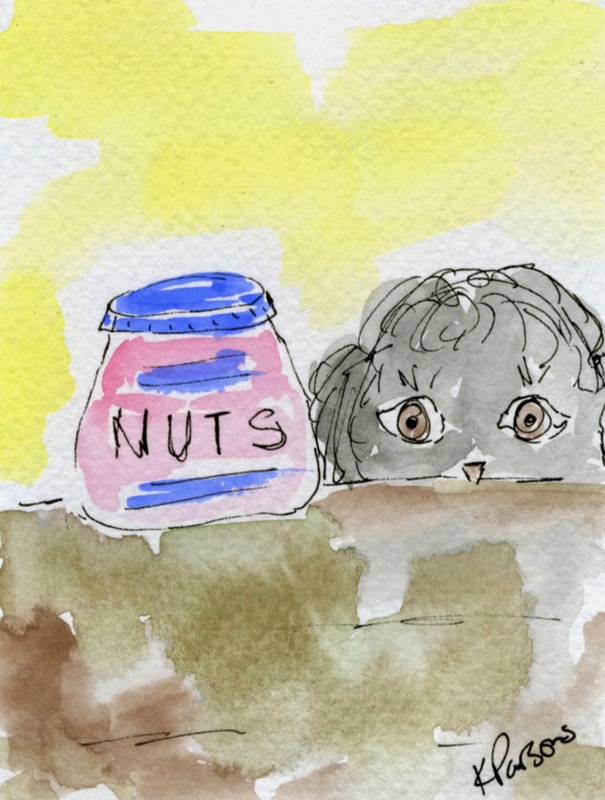 While our dogs are totally clearly hard of hearing when we want them to stop barking or to come inside when they aren't quite ready, when Dave takes the jar of nuts out of the cupboard and just begins to unscrew the lid, our dogs dash to the kitchen faster than you can say "cashew". And there they wait, willing to sit, shake, down, play dead, or speak in anticipation of a Brazil nut (Nothing against Brazil, but do humans even like those nuts? I'm convinced they're designed to be dog snacks.). Yup, our dogs go nuts for nuts.